R.E.M.- GREEN: 1988: 4 1/2 STARS OUT OF 5 STARS: R.E.M’s major label debut with Warner Bros. Stand was a Top 10 hit. Orange Crush, Pop Song 89, Get Up were also released as singles. Kurt Cobain listed it among his Top 50 albums of all time. It has a different feel about it than previous R.E.M. albums- Michael Stipe had told the band members before hand not to write any R.E.M. type songs. Whatever that meant. 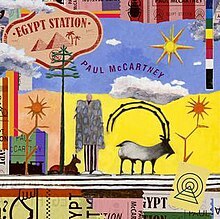 PAUL MCCCARTNEY: EGYPT STATION: 2018: 5 STARS OUT OF 5 STARS: I have liked Paul’s 2000’s albums for the most part but he seemed to put even more effort into the making and promoting of this album- and he got his #1 album at the age of 76. Oddly it went to #1 and was quickly out of the Top 200 charts just weeks later. Maybe if he had toured behind it- it is an album that deserves to be heard. Of course no hits- at this point the Hot 100 charts will not have such quality. 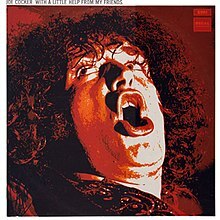 JOE COCKER: WITH A LITTLE HELP FROM MY FRIENDS: 1969: 4 STARS OUT OF 5 STARS: Cocker’s debut album. The title track one of the best Beatles covers and one of Cocker’s most recognizable songs. I always think of “The Wonder Years” when I hear it. Other highlights- Feelin’ Alright, Change In Louise, Bye Bye Blackbird. A strong debut. 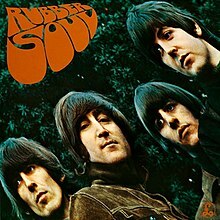 THE BEATLES: RUBBER SOUL: 1965: 5 STARS OUT OF 5 STARS: Of the 12 Beatles album openers I rank Drive My Car at #6. THE BEATLES: REVOLVER: 1966: 5 STARS OUT OF 5 STARS: Of the 12 Beatles album openers I rank Taxman at #4. Next time through The Beatles albums I will rank the album closers. I haven’t listened to some of these R.E.M. albums in a long time- sounding good. Yes I’d agree poppier but being on a major label now I imagine there was more pressure to have hits. 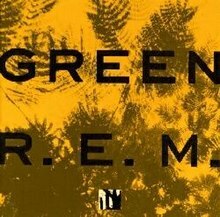 Green was the REM album where they went for the radio. Not a criticism it was a genius move. Murmur was the best record of phase one though. Love Green. It used to be on the CD player a lot when my kids were little. I remember playing it while cleaning the house and they would be singing along and dancing to it. I’ve heard that Egypt Station hit and like it. Want to check out the rest of the CD.